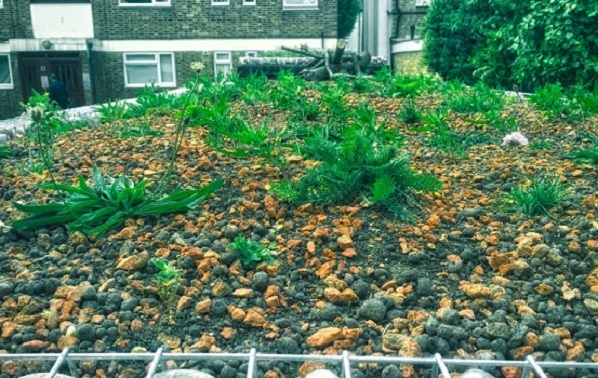 Green roofs have become increasingly popular by providing a garden to those who have a small space or just to help maximise planting potential. At Earth Cycle we produce a number of different green roof substrates for Intensive/Extensive and Biodiverse applications. Green features retrofitted into housing estates can have a real impact. It is essentially to work closely with the communities in question, but there are many benefits to the environment and also to the people living in the neighbourhoods. The Social Housing project in Hammersmith has been a great success and we have supplied 25m3 of green roof substrate!